When it comes to a healthy mouth, Rauchberg Dental Group believes that it involves more than just your home oral hygiene habits and regular care from your dentist and orthodontist in Parsippany. We also believe that education and information are equally as important to help you reach your dental health goals, which is why we are fully committed to our patients. In addition to providing you with the services that you need for a beautiful smile, we take the time to educate you through in-office discussions at your appointments, online material, and comprehensive seminars. 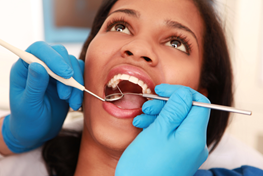 At each appointment, we take the time to talk with you about your oral health and your treatment plans. We discuss each step of the process in great detail while taking the time to address your questions and concerns. We want you to feel comfortable about the solutions that we create for you to ensure that you have the peace of mind you need. We understand that dental treatments can be a bit confusing. We do not want you to delay getting the care that you need due to certain questions that have not been answered. To provide you with the information that you need, we have a Patient Education section on our website. You will find comprehensive material about many common treatments, technology, and frequently asked questions to help you gain a full understanding about your oral health. We provide a diversity of patient resources to provide you with extensive information, including a newsletter. To help you feel comfortable about the services that you are receiving from our office, you can watch many video testimonials and read patient reviews. In addition, you will find the latest promotions and events we are offering, such as contest. Our team at Rauchberg Dental Group frequently hosts seminars that are relevant to your oral health. We often hold seminars discussing orthodontic treatments, including the use of Invisalign. Our next event will be held on January 16th to help you feel confident about your treatment plan and your journey to a healthy, straight smile. In addition to orthodontics, we also offer seminars about dental implants in Parsippany. We will help you understand more about the importance of replacing your missing teeth and how dental implants help you to invest in your smile. At Rauchberg Dental Group, we believe that education is the foundation to creating a healthy, beautiful smile that will last for a lifetime. We are fully committed to our patients to bring your personalized services and comprehensive information to achieve and maintain healthy teeth and gums. For more than 50 years, Rauchberg Dental Group has provided the community with quality care that our patients deserve. We understand the importance of family and a team approach to promote each unique smile. If you have any questions about your dental health, please contact our office today. A member of our team is happy to provide you with the answers you need.